Mañana las delegaciones llegarán a Thiais, París (Francia). Thiais es el 3º Grand Prix del año. 21h30 Ceremonia de entrega de medallas. 16h50 Ceremonia de entrega de medallas. Düsseldorf is the city that hosted once again this international tournament, for individual gymnasts. Gymnasts of several ages compete here: child (7, 8, 9 years old), prejunior, junior and senior. A few countries participated: Russia, Poland, Estonia, Australia, Belgium… and of course Germany. 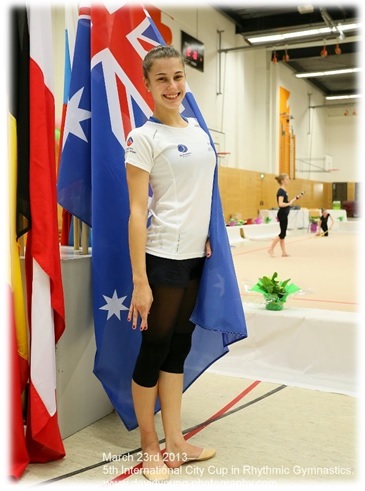 Danielle Prince (AUS) was one of the stars of this competition, besides Estonian Carmel Kallemaa. Düsseldorf es la ciudad anfitriona de este torneo internacional de gimnasia rítmica “City Cup”, dirigido a gimnastas individuales. Más de 100 participantes de diferentes países acudieron a esta competición. las categorís fueron : 7 años de edad, 8, 9, pre-junior, junior y senior. Los países participantes entre otros, fueron Rusia, Polonia, Estonia, Bélgica y Alemania. 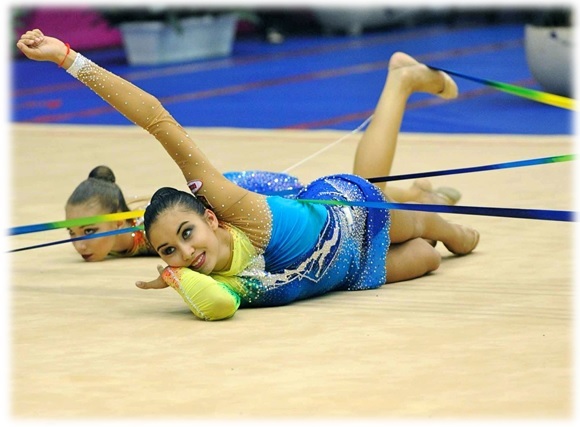 This weekend, a junior international competition was celebrated in Gdynia, Poland. It is the second year that Polish Club “SGA Gdynia” organizes a event like this. This competition was held on the 24th and 25th of March at the Complex of Sports-Schools in Gdynia. Individual and groups competed here. The categories are junior and pre-junior (born in 2001 or after). 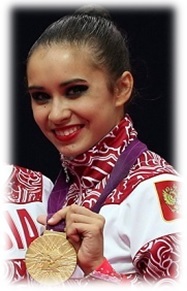 Yevgeniya is one of the gymnasts that composes group UKR, besides Valeriya Gudim, Oleksandra Gridasova, Olena Dmytrash, Svetlana Prokopova and Oleksandra Aslanyan. She was also in London Olympic Games, with team Ukraine (5th position), with 54.375 points. 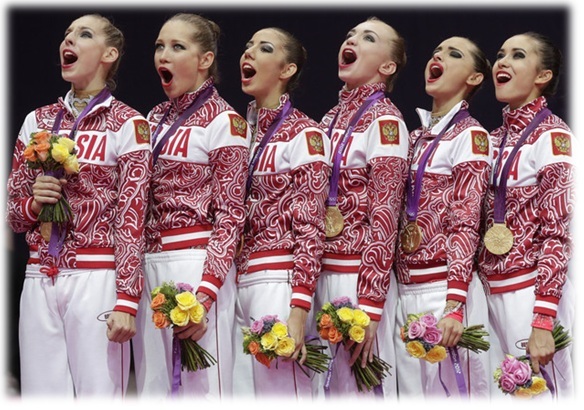 Viktoriya Lenyshyn and Viktoriya Mazur (now, individual gymnasts) were also in the Olympic team. 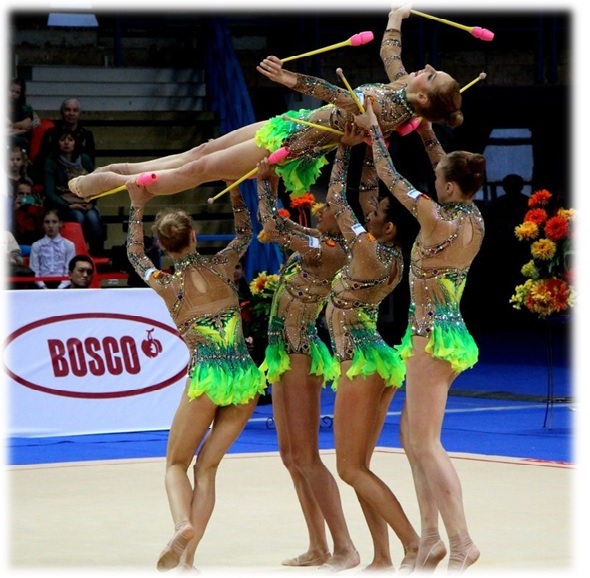 Group UKR following competitions are: Grand Prix Thiais (France) and World Cup Lisbon (Portugal). 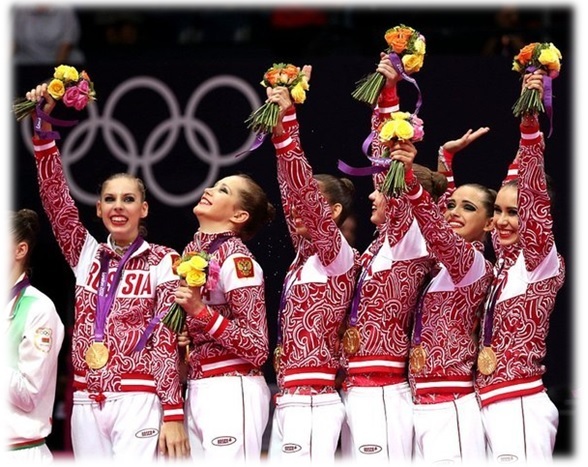 Yevgeniya es una de las gimnastas que forma parte del conjunto de Ucrania, además de Valeriya Gudim, Oleksandra Gridasova, Olena Dmytrash, Svetlana Prokopova y Oleksandra Aslanyan. También acudió a las Olimpiadas de Londres 2012 con el conjunto, donde allí obtuvieron una 5º plaza con una puntuación total de 54,375. 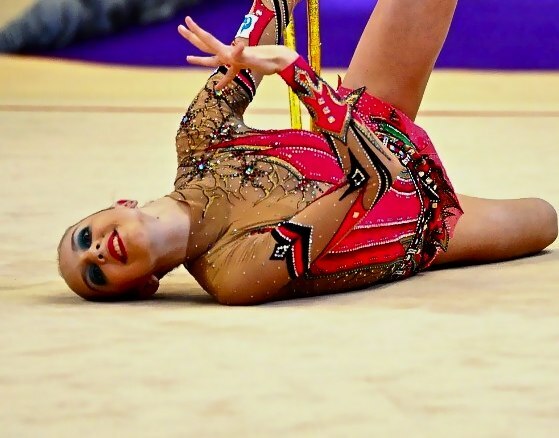 Viktoriya Lenyshyn y Viktoriya Mazur (ahora gimnasta individual), estuvieron también en el equipo Olímpico. Las próximas competiciones para el conjunto de Ucrania serán el Grand Prix de Thiais (Francia) y la Copa del Mundo de Lisboa (Portugal). This weekend, a junior international competition will be celebrated in Gdynia, Poland. It is the second year that Polish Club “SGA Gdynia” organizes a event like this. This competition will be held on the 24th and 25th of March at the Complex of Sports-Schools in Gdynia. Individual and groups will compete here. The categories are junior and pre-junior (born in 2001 or after). 12.00 – 13.00 – Individuales Junior (nacidas en año 2000), Ejercicio de cinta. Diana is a russian gymnast who was really succesful at junior category. 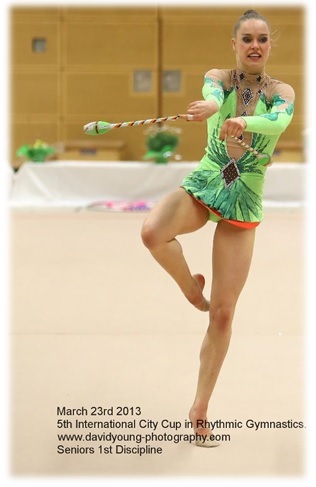 She was European Champion (with team Russia) in Nizhny-Novogorod European Championships. 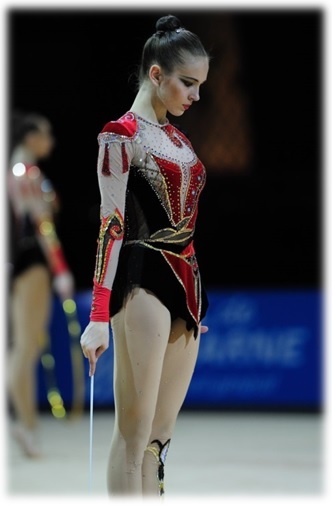 Her team mates were Yana Kudryavtseva (ball), Yulia Sinitsina (clubs) and Alexandra Soldatova (ribbon). Nowadays she’s still training at Novogorsk. Her coach is Vera Shatalina. Diana also was competing with the Russian National Team in a few russian competitions. From left to right: Team Belarus, Team Russia (Alexandra Soldatova, Yana Kudryavtseva, Yulia Sinitsina and Diana Borisova) and Team Georgia. Diana with her coach, Vera Shatalina at European Championships 2012. Diana es una gimnasta rusa la cual tuvo una carrera muy exitosa en categoría junior. Participó en el Campeonato de Europa de Nizhny-Novgorod del año 2012, resultando campeona de Europa junto con sus compañeras Yana Kudryavtseva, Yulia Sinitsina y Alexandra Soldatova. Actualmente entrena en el centro de alto rendimiento ruso al mando de Irina Viner y entrenada por Vera Shatalina. Diana también formó parte del conjunto nacional ruso en algunas competiciones estatales.